Imagine you are the person in charge of operations for a property company that manages a dozen buildings in a number of cities. What would you do if you got the following text on your phone? In this scenario, the building at that address is one of several upscale medical clinics in your company’s portfolio. The buildings all use something called a BAS or Building Automation System to remotely manage Heating, Air Conditioning, and Ventilation (HVAC), as well as fire alarms and controls, lighting, and security systems, and so on. As many as eight different systems may be remotely accessible. In this scenario, if someone has in fact gained control of the BAS, then it is entirely possible that the sender of the threatening message could make good on their threat. This is not an imaginary scenario. I have met with someone who got a message like that and it was not a hoax. When her company bravely refused to pay the attackers, use of the targeted building was indeed disrupted. I would not be writing about this form of cybercrime if I thought there was only one isolated incident. No security researcher wants to spread unwarranted fear, or give criminals any ideas. But it turns out that the law enforcement officers who were contacted for assistance by the operations manager in this case told her: “We’ve seen this before.” In other words, this was not the first time that criminals have tried this type of attack and in my opinion it is better to let potential victims know about threats so that they can plan how to defend against them, rather than hope those threats don’t materialize. Clearly, holding a building for ransom by leveraging its reliance upon software is now on the criminal agenda, part of the expanding arsenal of techniques for profiting from the abuse of technology. In my experience, giving a name to different types of attack helps spread awareness of them and focus efforts to defend against them. So, instead of saying holding a building for ransom by leveraging its reliance upon software, I suggest we call it siegeware. From Neolithic hilltop settlements to medieval castles and walled cities, human structures have always been a target for nefarious activity, often besieged by aggressors because access to them is essential to their functionality, be that living, working, meeting, trading, storage, or medical care. 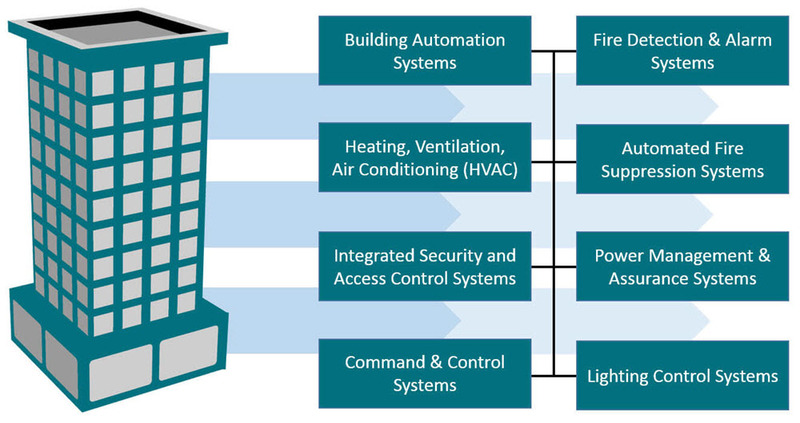 Today, the functionality of many buildings – such as the ability to control room temperature, door locks, and alarms – is controlled by a Building Automation System (BAS). Numerous practical and financial benefits can accrue from enabling remote access to a BAS, but when you combine criminal intent with poorly protected remote access to software that runs a building automation system, siegeware is a very real possibility. To put it another way, siegeware is the code-enabled ability to make a credible extortion demand based on digitally impaired building functionality. There was some good news in the example that was shared with me. The company already had an effective crisis response plan and although this was a new scenario for them, the response team was able to quickly put backup measures in place. This enabled the company to refuse to pay the ransom demand. However, the criminals did disrupt normal use of the building by tenants. How widespread will the siegeware problem become in 2019? That will depend on several factors: how aggressively cases are investigated by law enforcement; how many victims refuse to pay; and how many targets of opportunity the bad actors can find. To this last question, you can use Shodan – the internet search tool – to get a sense of scale. When I searched in mid-February 2019 for BAS systems that were reachable from the public internet I found 35,000 potential targets globally. That was for just one category of product, and the number was up from about 21,000 at the end of August, 2018. Sometimes you don’t even need to guess a password to get this far: this is a live dashboard, accessible to anyone on the internet, without a password. 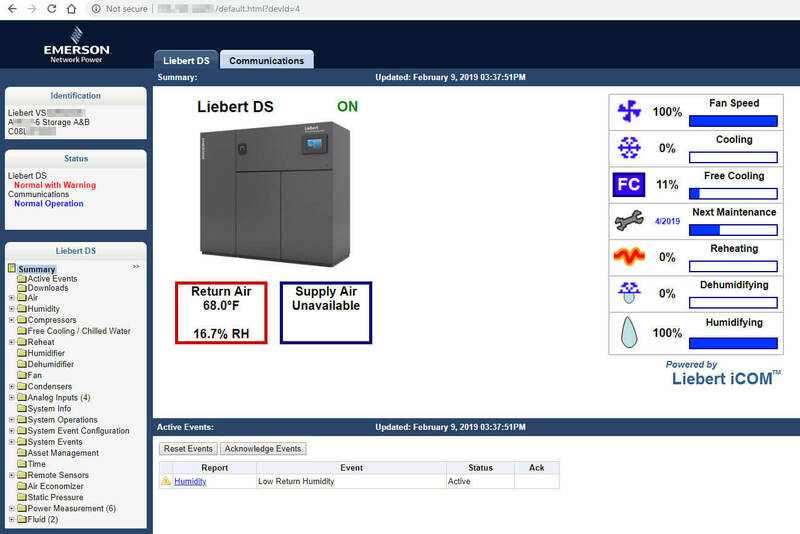 And because the internet is so good at documenting technology, you can easily determine that this is a Liebert DS data center cooling system, for which a lot of documentation is available online. It is also relatively easy to figure out who owns the system (a large university that I am not going to name), and where it is located (on the East Coast of the US). Although most organizations are not as egregiously unprotected as this, even a cursory search reveals that in the US there are scores of clinics and hospitals exposing their BAS logins to abuse, not to mention hundreds of schools and universities, as well as quite a few banks. You don’t have to be a particularly imaginative criminal to see some real possibilities there. Of course, it doesn’t have to be like this. There is plenty of advice out there for organizations that want to reduce the risk of siegeware attacks. A good place to start would be “Intelligent Building Management Systems: Guidance for Protecting Organizations” available on the Security Industry Association website along with a number of other useful resources. I found this US DoD document very informative as well: Unified Facility Criteria, UFC 4-010-06 Cybersecurity Of Facility-Related Control Systems. So where do things go from here? Clearly, now is a good time to determine the state of facility automation in the building where you work. Is there any level of automation, and if so, how is access to the building automation system protected? A key factor to be aware of when making enquiries along these lines is the relationship between building owners, property managers, and contractors. 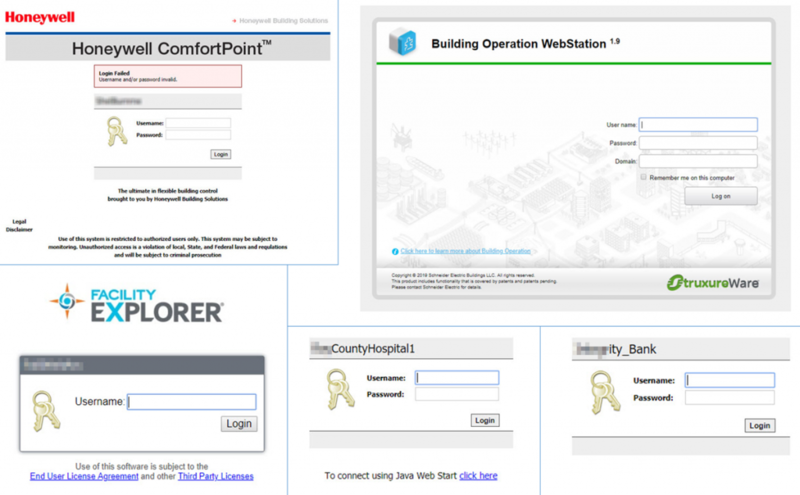 My research suggests that some contractors find it very convenient to install a web-based login that they can then access at any time, remotely, and with ease, often over smartphones and tablets. It is possible that the manager/owner of the building will not know about such remote access unless they ask. So, if you are at all concerned about the possibility of a siegeware attack, ask around to see if there is any remote access for the BAS in “your” building. Then try to find out how well protected it is. Has access been placed behind a firewall? Does access require a VPN connection? Is access protected with multi-factor authentication or just a password? If the latter, then immediately call a meeting to get that fixed, and I don’t just mean make sure it is a hard-to-guess password. At a bare minimum there has to be rate limiting and lockout on failed password attempts and “alarms” that go off in multiple places when such incidents occur. Frankly, anything less than hiding the BAS login behind a VPN with 2FA means a building is at risk from criminals wielding siegeware. With 2FA now being so widely available and easy to use, failure to take advantage of it to protect a BAS is likely to fail a reasonable test, should building tenants sue in the wake of a siegeware attack. Of course, offices and factories are not the only buildings being automated. Many homeowners are embracing the Internet of Things (IoT) and the home automation that these devices enable. My colleague Tony Anscombe has been researching the threats that may come with a “smart home” and will be presenting on this at Mobile World Congress (MWC) – taking place February 26 – March 1, 2018 in Barcelona. In the 2017 edition of the ESET Trends report I wrote about several ways in which criminals might try to monetize hacks of IoT devices including jackware for cars (see RoT: Ransomware of Things). The key word here is “monetize” because potential abuses of technology are typically not criminalized until criminals devise a clear path to easy money from such abuse. In the case of siegeware, and also jackware, a lot of people have their fingers crossed that this path is discovered later rather than sooner.